“FloScans are priced for good value and we install them in-house using our own mechanics. As the cost of #2 diesel here in Hawaii continues to climb, every gallon you can reduce in fuel consumption is savings to the bottom line. We monitor our speed through a GPS once we get strung out on the tow line and then start backing off the throttles until we see a 20% drop in our fuel usage and leave it there. That last 10 or 15% of throttle on most tugs is wasted fuel that gives you no greater hull speed and also decreases the life cycle of your engine components such as liners, rings, and pistons. 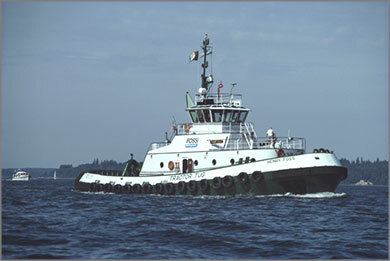 Foss Maritime, one of the largest tug boat companies with over 200 vessels operating worldwide, tested FloScan Fuel Computers in the mid-90’s on the M/V Justine Foss powered by twin EMD 12-645 2150 hp engines. 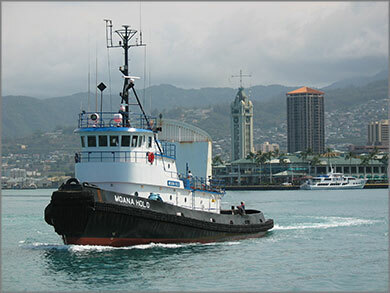 This tug operated between Washington and Alaska running approximately 1000 nautical miles each way. The Justine Foss made 8 round trips using approximately 80,000 gallons of fuel per trip. Dana Brodie, Ocean Port Engineer for Foss Maritime at the time, determined the accuracy of the FloScan Fuel Computers to be within ½ of 1% for the entire 640,000 gallons used. As a result, the equipment is being used for fuel billing purposes and other vessels, such as the Drew and the Wendy Foss, have been outfitted with FloScan Fuel Computers.